An alternative to the voltmeter for checking the phase coincidence in a network before looping. The wireless technology of the TAG5000 eliminates any danger due to the use of high voltage connecting cables on conventional devices and enables it to be used even for high voltages. Possibility of measuring through obstacles such as walls, doors, etc. No distance limit due to the cable: range of 10 to 16 m in the air and about 30 m in contact with the network. 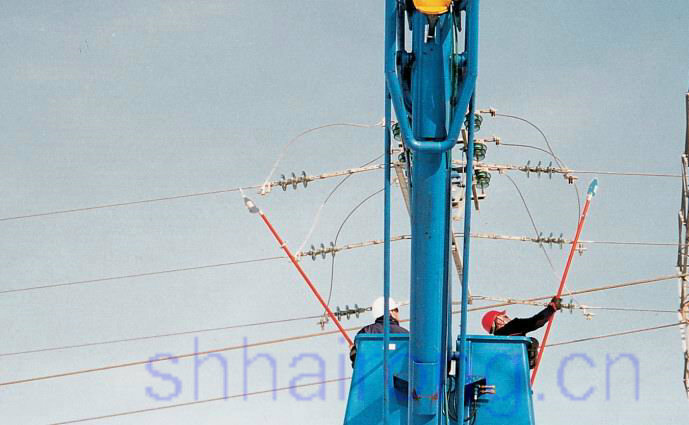 (from 230 kV to 500 kV with special antenna extensions). 433.9 MHz coded multi-channel link compliant with Telecom standards. 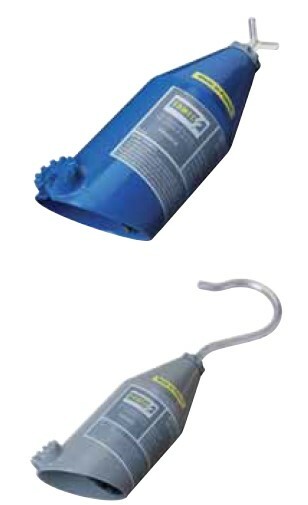 Comes with two pairs of contact electrodes: two 40 mm Vs and two 60 mm hooks. 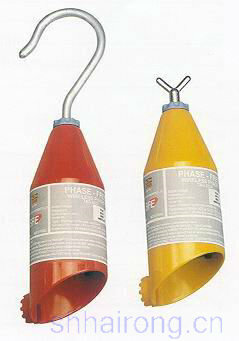 It can be tted onto all types of insulating sticks using intermediate adapters. 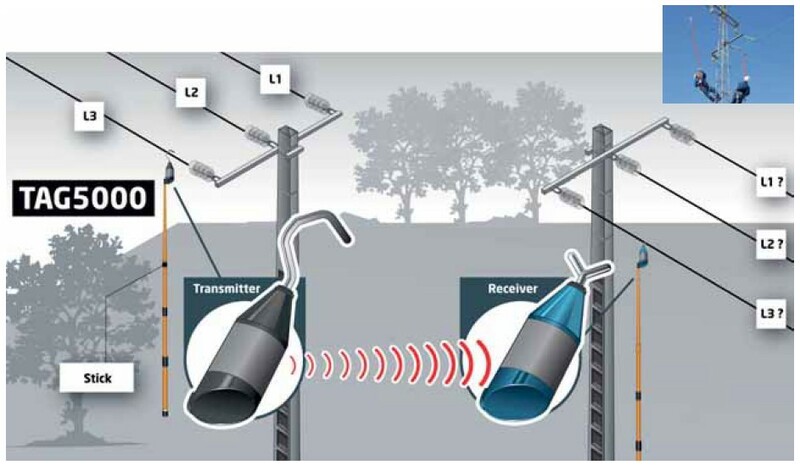 The transmitter (grey box) indicates that a voltage is present by an audible and light signal, then sends the phase information to the receiver. The receiver (blue box) measures the phase angle. It indicates phase coincidence by audible and light signals. Self-test feature and simulation of all functions. Power supply: 9V batteries. Battery life: 6 months.